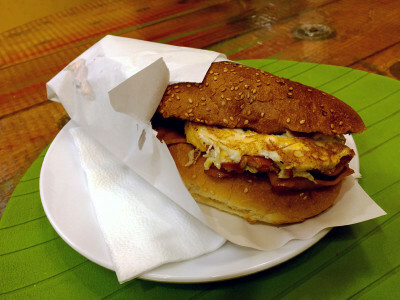 The kumru sandwich – a specialty of Turkey’s Aegean coastal resort district Çeşme – is one of our top guilty pleasures. It comes as heavy on the guilt as it does on the pleasure, with its sodium-laden, coma-inducing blend of grilled hot dog strips, salami slices and buttons of garlicky sucuk topped with melted kaşar cheese, fresh tomatoes and pickles served on a grill-toasted roll somewhat resembling a turtledove (kumru in Turkish). Though available in Istanbul in mostly uninspired configurations, the kumru isn’t wildly popular outside of its land of origin. Its ubiquity is mainly confined to the beach cafés of Çeşme and the crowded downtown streets of the nearby city of Izmir. 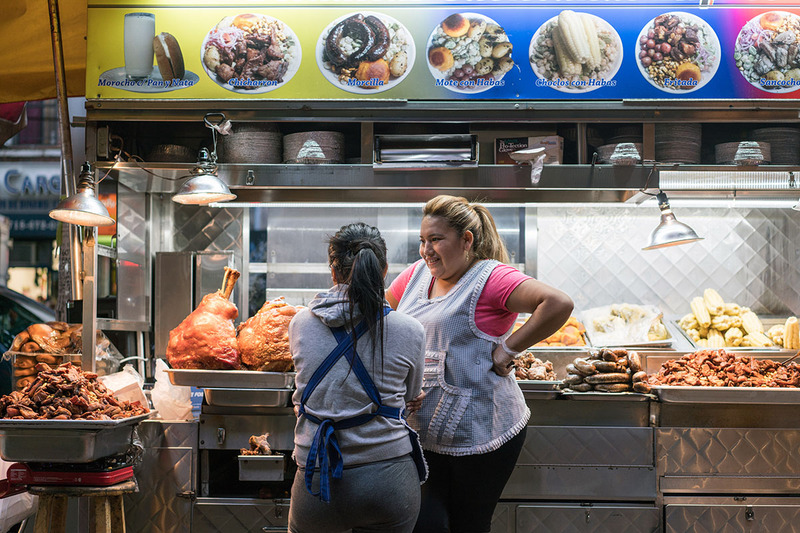 Needless to say, we were rather surprised to discover İzmirli Mustafa Usta’s Berlin Kumru in the heart of the city’s Neukölln neighborhood, even if thousands of Turkish people live in the area. 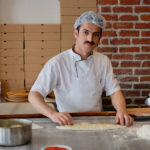 Beginning in 1984, during his early teenager years, Mustafa Konak starting working at the famous Efes Büfe, located around the corner from Izmir’s Efes Hotel, which faces the city’s beloved Kordon promenade. 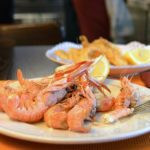 The small shack was known for its lines out the door, and Konak says that Arabesque legend İbrahim Tatlıses himself once came for one of his renowned kumrus. Konak worked at the Efes Büfe for much of the ’80s and ’90s, leaving for Berlin in 1999 and opening his kumru shop in November of last year. “There is not another one in Europe. 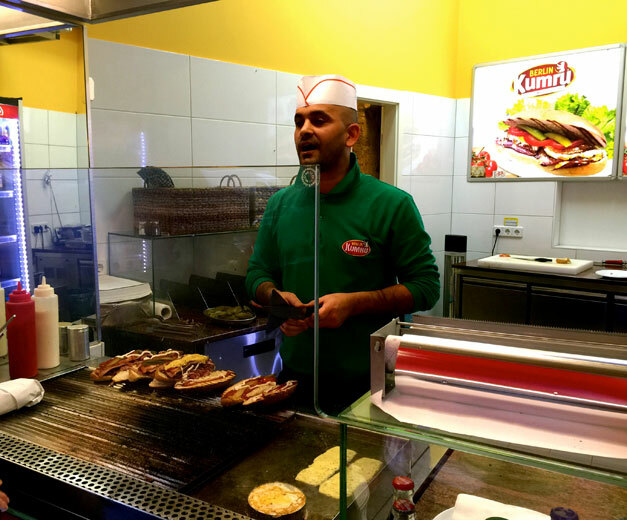 If you want, go ahead and research it!” Konak proclaimed confidently, after we suggested that his was probably the first kumru joint in Berlin. On our second visit, we tried the Atom, which came with all of the standard kumru toppings plus a fried egg on top. This sandwich was about as subtle as its explosive moniker suggests. Konak’s right-hand man, Mesut, was busy grilling up a post-lunch rush full of kumrus, but that didn’t stop ours from being drop-dead perfect. Konak’s menu had one very Berlin-oriented selection, a vegetarian kumru based on egg and grilled spinach. “Around here, eight out of 10 people want to order something vegetarian,” he said. While his figures are probably inflated, the borough of Neukölln, with its high population of Turkish and other immigrant communities, has become increasingly popular over the years among students and artists, and the popularity of vegan and vegetarian fare has surged. He said he is planning to expand both the space and the menu, adding numerous veggie-friendly items to hopefully entice unfamiliar locals. 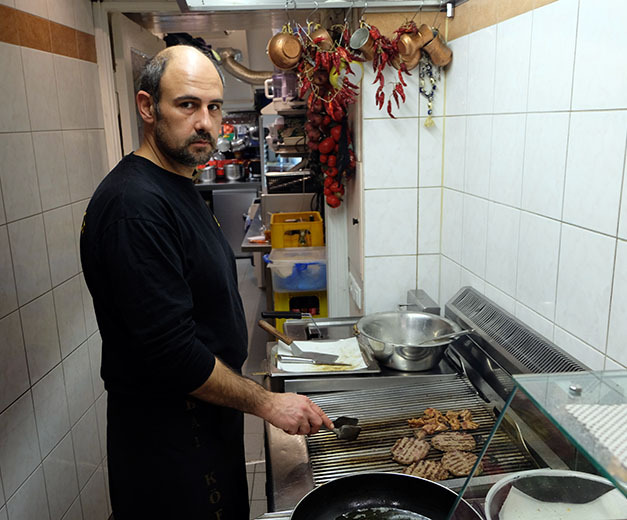 Konak’s life in Berlin has revolved entirely around the local Turkish community. 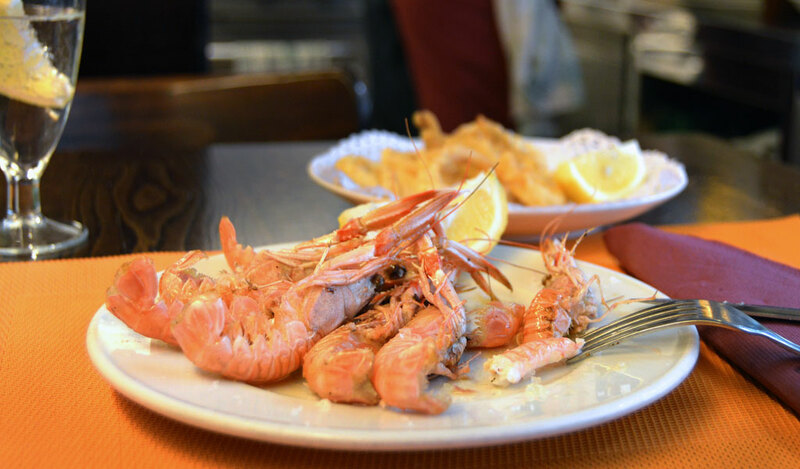 “In 15 years, I didn’t learn a single word of German,” he said, though he might have been slightly exaggerating, as he peppered our conversation with German food terminology. 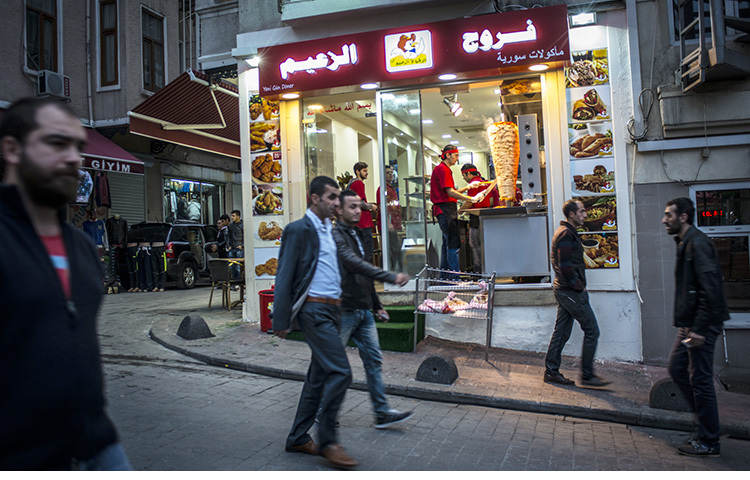 Still, the city’s large Turkish community has been his lifeline. 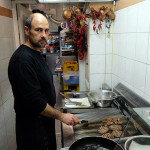 He worked as a cook in a Turkish restaurant for many years before deciding it was time to open his own place. 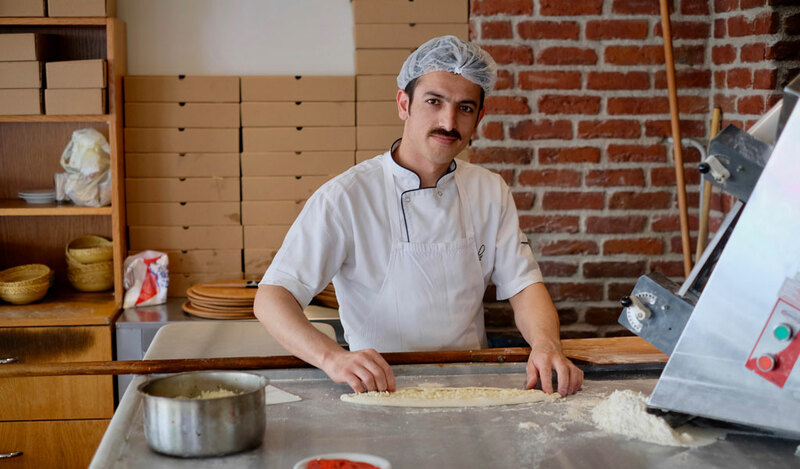 Turkish people in the neighborhood have warmed up to Konak’s perfect rendition of his hometown favorite, and he is in the process of expanding his business. 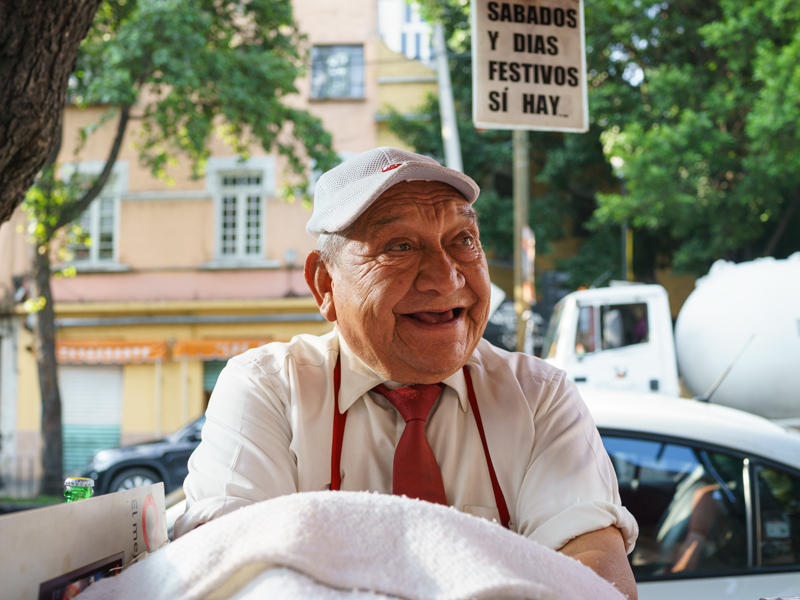 But something about his demeanor suggests that he would rather be back in the sun-kissed backstreets of seaside Izmir, grilling away for an eager crowd lining the block. Berlin residents should act accordingly.